To better meet Intel’s business requirements while providing internal customers with optimal data center infrastructure capabilities and innovative business services, Intel IT has overhauled its data center strategy. 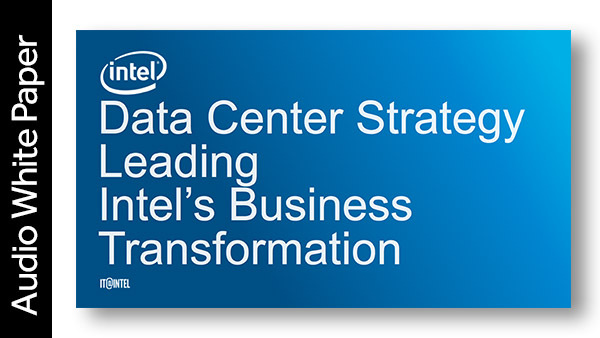 Its data center transformation strategy is to run Intel data center services like a factory, affecting change in a disciplined manner and applying breakthrough technologies, solutions, and processes. In this white paper, Intel uses three key metrics to measure data center transformation success: meet growing customer demand (service-level agreements and quality of service) within constrained spending targets (cost-competitiveness) while optimally increasing the utilization of infrastructure assets (operational efficiency).